— Brenda Bott. Coordinator/Teacher. Shawnee Mission School District Biotechnology Signature Program. Center for Academic Achievement. Indeed, Brenda! 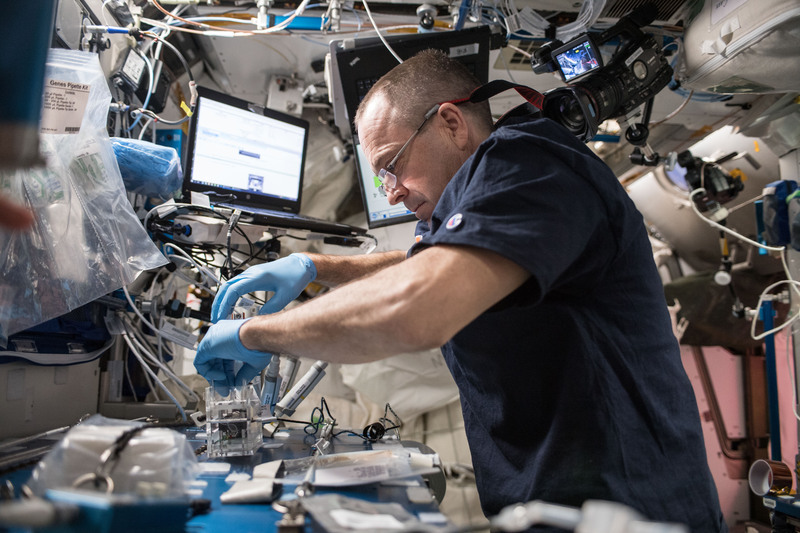 Astronauts are multi-talented jacks of all trades, but rarely are they masters of molecular biology — notable exceptions include US astronauts Dr. Peggy Whitson and Dr. Kate Rubins. But a little training goes a long way. 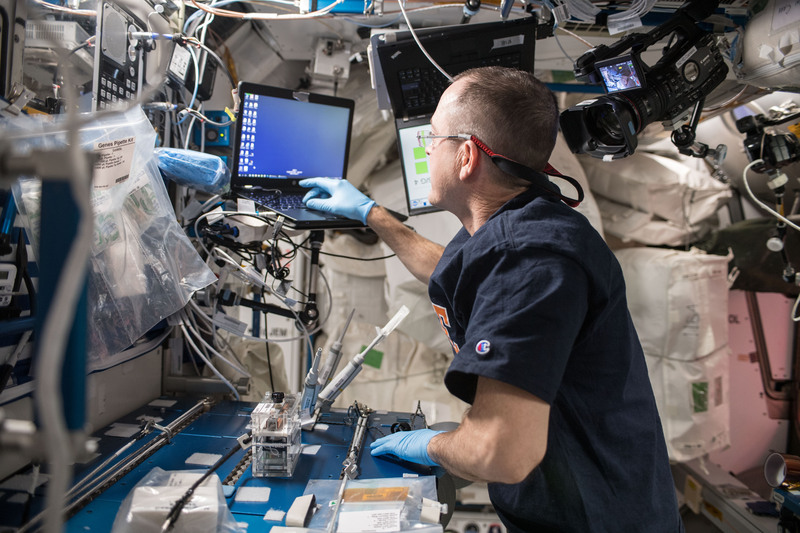 Scientists at Johnson Space Center and other NASA laboratories spend countless hours training astronauts in molecular biology protocols to ensure the success of space biology investigations. 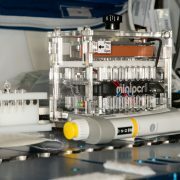 This includes, of course, training in the use of miniPCR and other DNA analysis tools now available in the ISS National Lab. 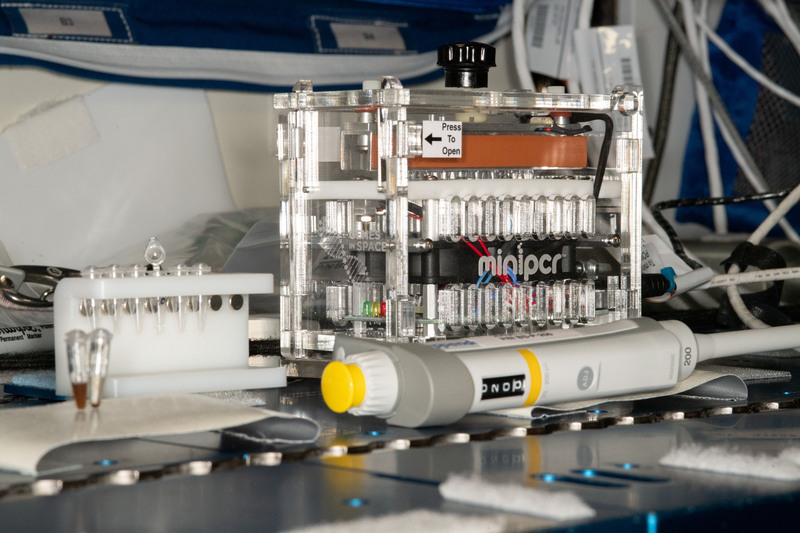 Take the Biomolecule Extraction and Sequencing Technology (BEST) investigation, currently studying the use of sequencing for the identification of unknown microbial organisms living on the International Space Station (ISS). One of the goals of BEST is to understand how humans, plants and microbes adapt to living on the ISS at the molecular level. Microbial Organisms are isolated and identified from various locations on the ISS using a swab-to-sequencer process that does not require cultivation of organisms prior to processing, utilizing the Biomolecule Sequencer and Genes in Space hardware already onboard the ISS. 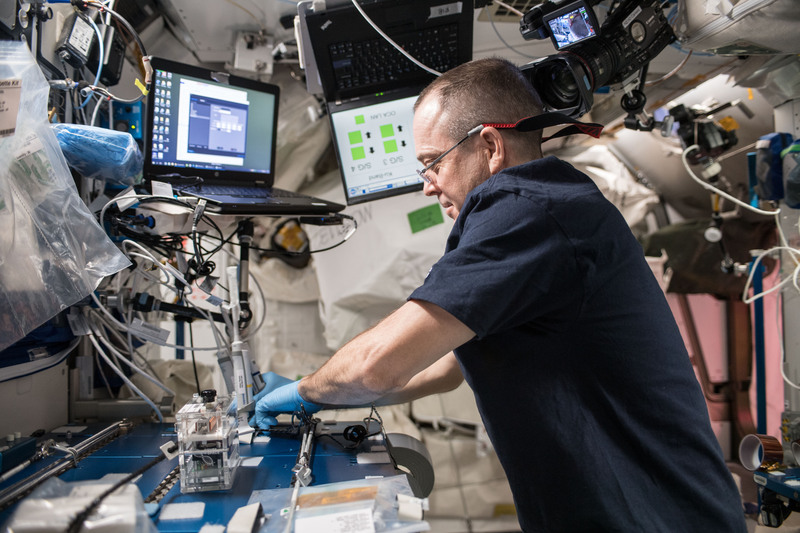 Astronauts Ricky Arnold and Serena M. Auñón-Chancellor have been carrying out these experiments. Enjoy the visual evidence below! https://www.minipcr.com/wp-content/uploads/iss056e184903.jpg 3712 5568 miniPCR Team https://www.minipcr.com/wp-content/uploads/2015/09/minicpr-logo.png miniPCR Team2018-09-30 19:04:342018-09-30 19:04:34"If an astronaut can do this, anyone can!"